Auto sector has Mexico set to pass Canada as No. 2 exporter to U.S.
Canada's labour bill has swelled with unit labour costs in U.S. dollars, increasing by 64 per cent since 2002. An increased number of auto shipments from Mexico has the country poised to become the No. 2 exporter of goods to the United States, according to numbers released by the U.S. Commerce Department on Tuesday. Mexico has won new auto factories from Toyota Motor Corp., Volkswagen AG's luxury Audi unit, Kia Motors Corp. and BMW AG over the past six years -- up to US$25.9 billion in new auto investments since 2010, according to the Center for Automotive Research in Ann Arbor, Michigan -- fueling car shipments totalling US$90 billion in the first 10 months of 2016. That's versus US$54 billion from Canada. Total shipments of all goods from Mexico totalled US$245 billion in the first 10 months of this year, ahead of Canada's US$230 billion. If the trend continues, it would be the first time the United States bought more imports from its neighbour to the south. Canada and Mexico ended 2015 tied in exports to the United States. The trend of catching up to Canada puts China and Mexico as the top two exporters to the United States just as President-elect Donald Trump prepares to take office in January, reflecting the strong pull of lower cost jurisdictions for the U.S. economy. Canada, which has one of the highest cost bases in the Americas, has seen its share of U.S. imports fall to about 13 per cent from around 20 per cent two decades ago. Canada's cost base is a big part of the story. Canada's labour bill has swelled with unit labour costs in U.S. dollars, a key index of competitiveness, increasing by 64 per cent since 2002 even with Canada's currency weakening in recent years. Mexico's average salaries meanwhile rose 0.5 per cent a year in the decade through 2014, the least among the 11 largest Latin American nations after Venezuela, International Labor Organization data show. 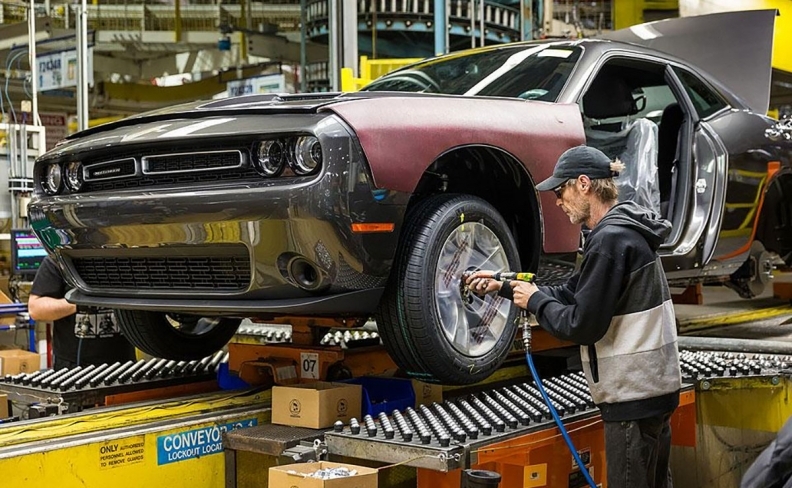 "Our competitiveness hasn't been what it could be," Bank of Canada Governor Stephen Poloz, who grew up in General Motors Co.'s Canadian production hub of Oshawa east of Toronto, told lawmakers in October. Auto manufacturers "can just as easily do it in Mexico, and get a fine dedicated workforce, they get the advantage of lower costs,” he said. The problems go well beyond the auto sector for Canada. In a down year for all shipments to the United States, Canadian exports have fallen 7.7 per cent so far in 2016, versus a 1.6 percent drop for Mexico. "The world has changed in the auto industry a lot since the 1990s, automation, more and more countries are making cars," Henry said in an interview. "But based on the economics of Canada, given an equal playing field, we can build the best vehicles in the world."